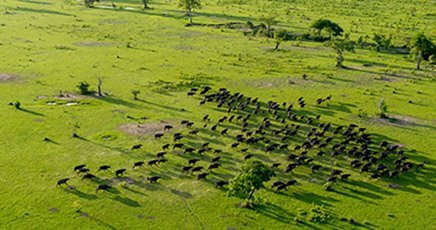 It is impossible to reduce the range of possibilities that face you in East Africa to just 10! 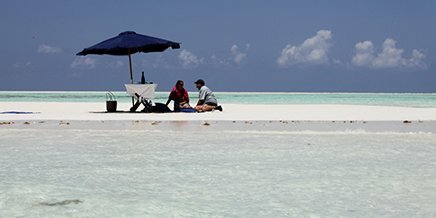 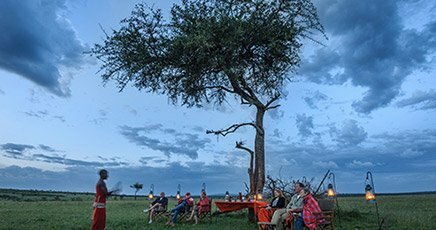 Consider this list a starting point for an enthralling holiday that will capture your imagination and your heart forever. 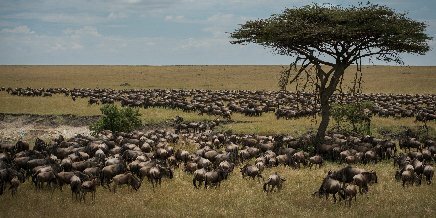 The greatest herd movement on the planet, the annual migration of wildebeest through the vast Serengeti-Mara ecosystem is an epic and thrilling natural spectacle. 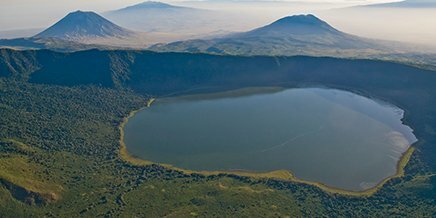 A 300km² caldera, Ngorongoro Crater is breathtakingly beautiful and, with about 30 000 animals, one of the most densely crowded wildlife areas in the world. 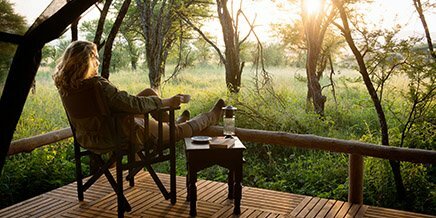 A year-round water supply supports impressive herds of wildebeest, zebra, buffalo and eland, warthog, hippo, elephant, black rhino, pack-hunting hyena, lion, jackal, cheetah, leopard and much, much more. 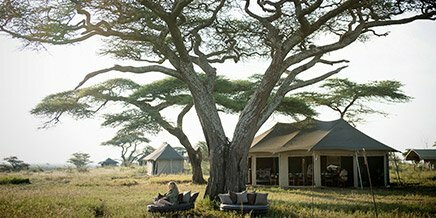 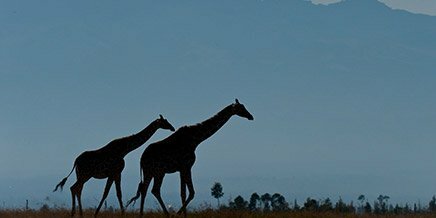 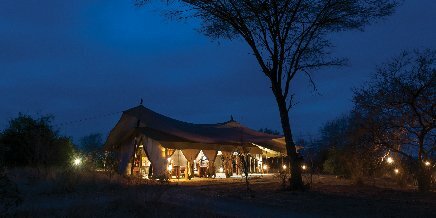 The Serengeti offers an iconic safari experience. 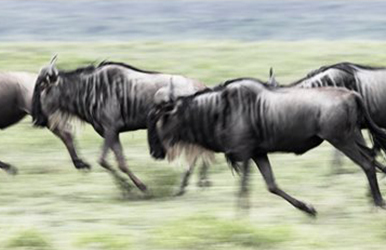 It is one of the world’s last truly wild places. 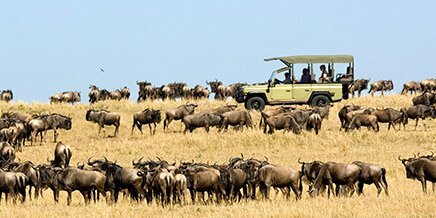 Covering 1,5 million hectares, Tanzania’s oldest game reserve hosts a large part of the annual Great Migration, as over a million wildebeest trek in an endless search for grazing and water from the Southern Serengeti into Kenya’s Maasai Mara Reserve and back again. 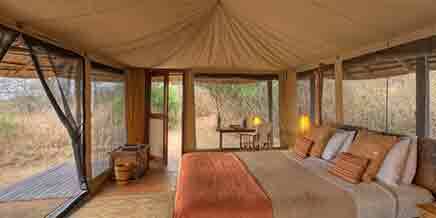 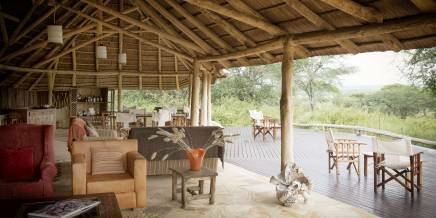 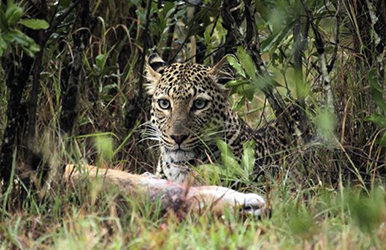 Expect astonishing Big Five encounters and primal big cat action. 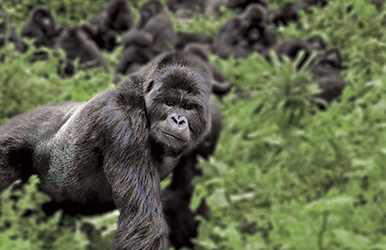 There are only 620 mountain gorillas remaining on earth. 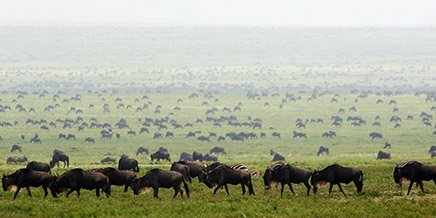 The majority live in the Virunga Mountains that straddle Rwanda, Uganda and the Democratic Republic of Congo. 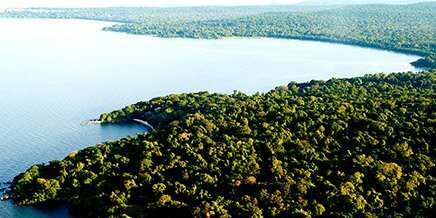 Rwanda is a much smaller country than Uganda, so lends itself better to a short trip in combination with a safari or beach stay elsewhere in East Africa. 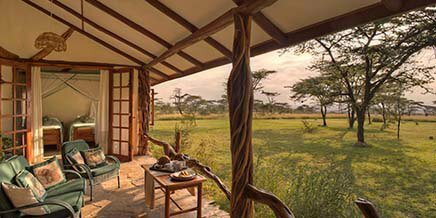 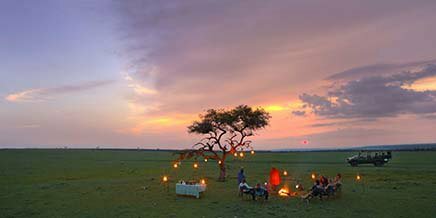 Watching the dawn break as you glide in silence of the vast wilderness areas of the Mara, Northern Serengeti and Central Serengeti is an unforgettable luxury. 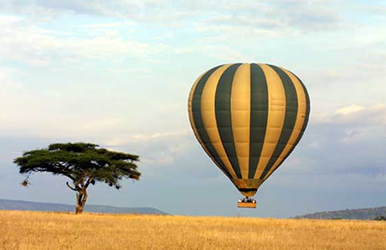 A hot-air balloon safari gives you a bird’s-eye view of the teeming plains, as sunrise stirs the wildlife below into action. 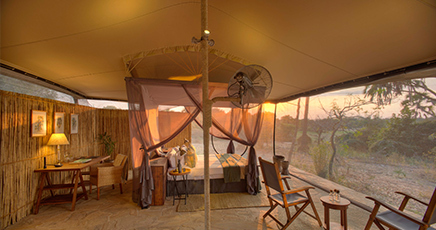 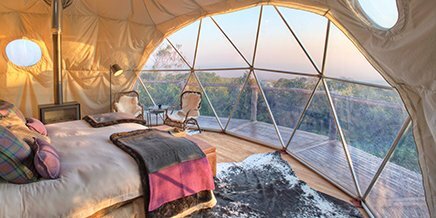 Available from several of our Serengeti camps: simply mention ‘hot-air ballooning’ in your enquiry. 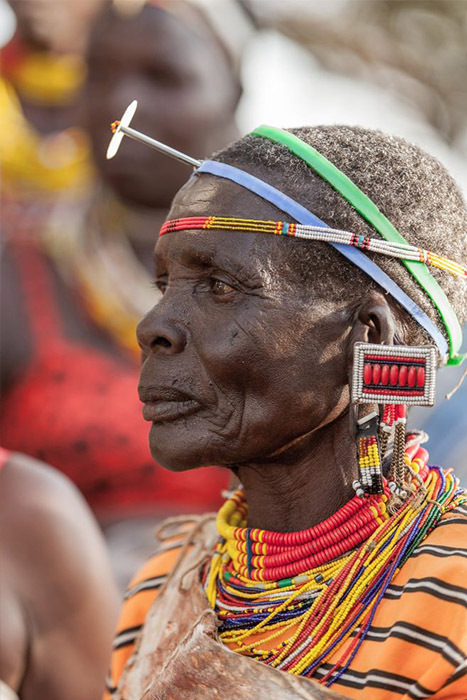 Meet the Hadza, Maasai and Kuria people who have been guardians of East Africa for thousands of years. 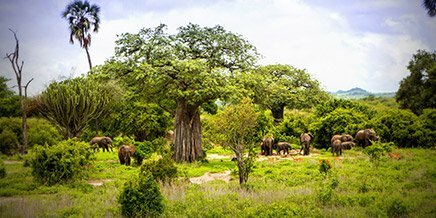 The Hadza live an unchanged hunter-gatherer existence in north-central Tanzania, while the Kuria live in southwest Kenya, with the Maasai, the Luo and the Maragoli as their neighbours. 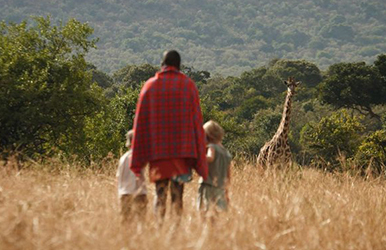 The Maasai are possibly the best known of the indigenous tribes you will meet on safari. 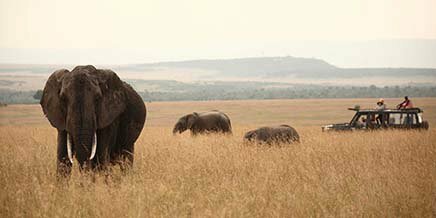 They live in southern Kenya and northern Tanzania along the Great Rift Valley. 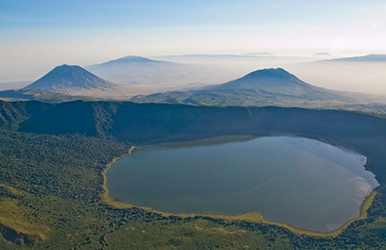 The Ngorongoro Crater Highland region offers a window into their traditional lifestyle. 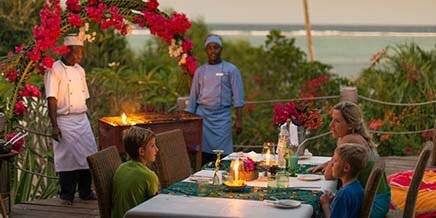 Zanzibar and the coastal areas of Kenya and Tanzania are a different world to the savanna of safari country. 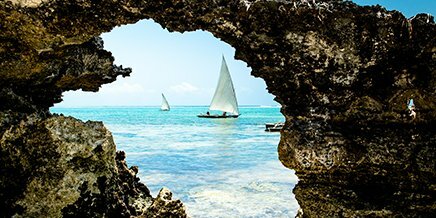 Low-lying and sandy, the coast blends the bright light and colours of the tropics with the sparkling azure-blue of the Indian Ocean. 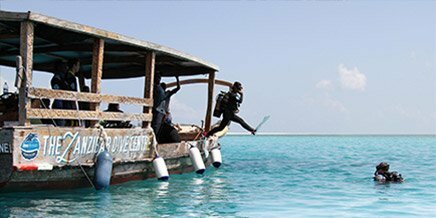 With rich marine life and abundant coral reefs, diving and snorkelling here are world class, while the warm transparent waters and white sand beaches epitomise tropical-beach bliss. 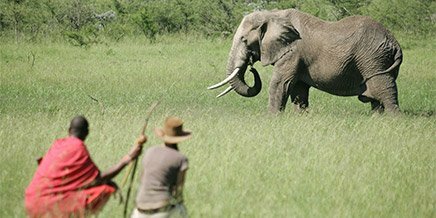 Encountering human’s closest relatives in the wild is a rare privilege. 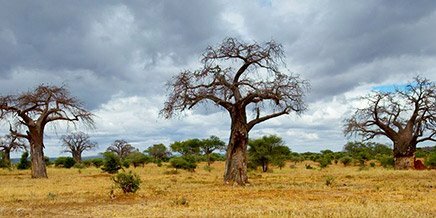 While 50 years ago millions of chimpanzee lived throughout equatorial Africa, today only 170 000 to 300 000 remain. 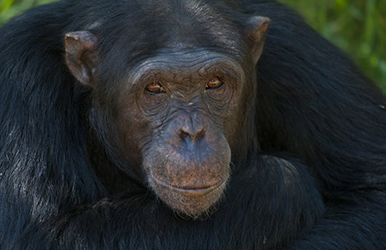 The eastern chimpanzee range has been reduced to the Central African Republic and DRC, western Uganda, Rwanda and western Tanzania. 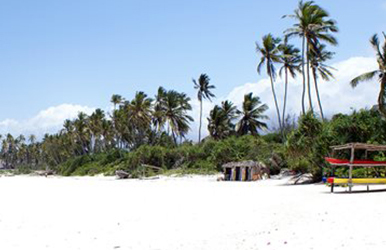 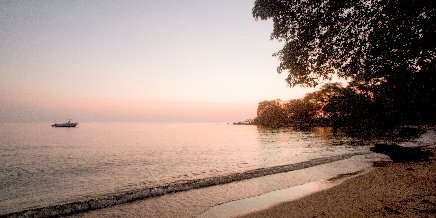 Rubondo Island is home to wild chimp and nine other species of primate. 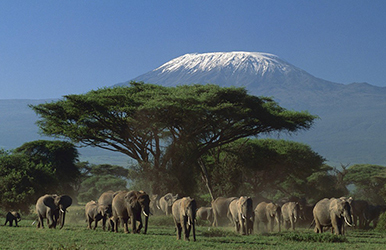 Climbing Kilimanjaro – the world’s tallest freestanding mountain and Africa’s highest peak – is an iconic experience. 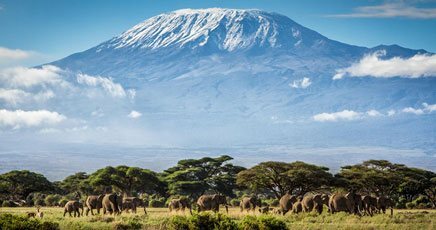 At 5 895 metres, Mount Kilimanjaro is both a test of endurance and a celebration of the human spirit. 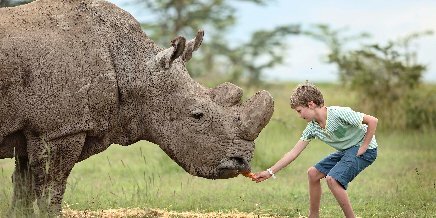 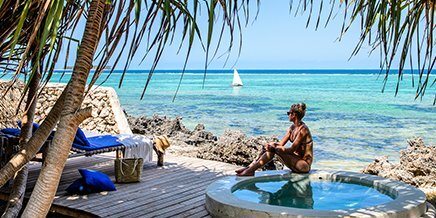 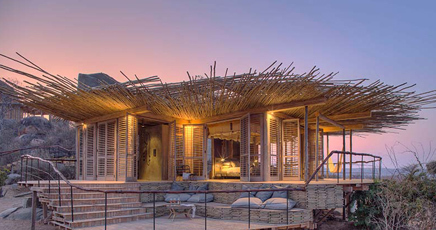 Once you’ve touched the ‘Roof of Africa’, head off on a classic Big Five safari or jet off to Zanzibar to reward yourself with a tropical beach holiday. 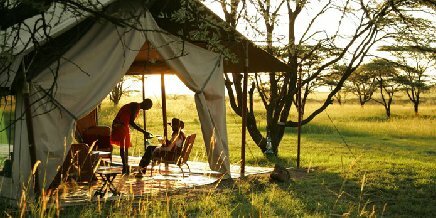 The legendary Masai Mara covers an area of 1 510km² in the Great Rift Valley. 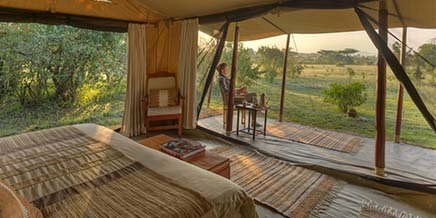 In the southwest corner of Kenya bordering Tanzania, the Masai Mara is a natural extension of the Serengeti plains of Tanzania. 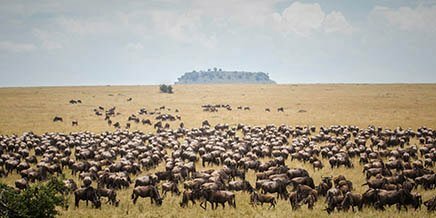 Together they make up the Serengeti-Mara ecosystem, one of the oldest, most complex and least disturbed ecosystems on Earth, with the Mara River its lifeblood.